None of these parts are broken. No reserve! All pictures are taken about the actual kit. I can send more pictures on request! What you see is exactly what you get! | eBay! Never been opened. | eBay! SEE PHOTOS. THE PLASTIC PARTS BAG IS STILL FACTORY SEALED. | eBay! Halcyon 1:144 Movie Classics Alien Narcissus Plastic Model Kit NEW SEALED | Toys & Hobbies, Models & Kits, Science Fiction | eBay! 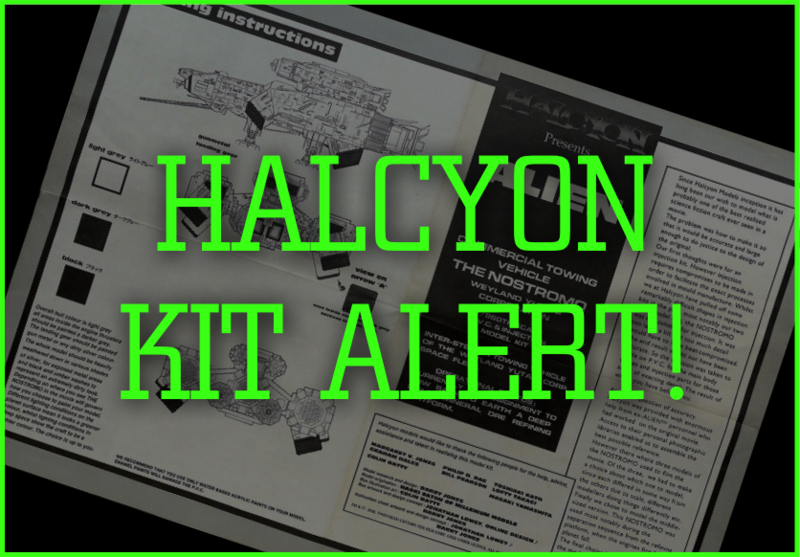 This auction is for: ALIEN NARCISSUS ESCAPE POD HALCYON MODEL IN BOX. Rare model kit. From a smoke free home. | eBay! DISCLAIMER: This post is simply for educational purposes and is not an endorsement of the seller or their advertisement. Next One good turn deserves another, eh, Valaquen?